RETURNING for its 26th year, Africa Oyé have revealed the dates for this year's festival in Liverpool. As one of the UK's largest free celebration of African and Caribbean music and culture, Africa Oyé will return to Sefton Park from 12.30pm on June 16 and 17 for two free days of live music, DJs, dance, workshops, food stalls and traders. Having grown from humble beginnings in 1992 as a series of gigs in the city centre, the event now attracts more than 50,000 people from all over the world. 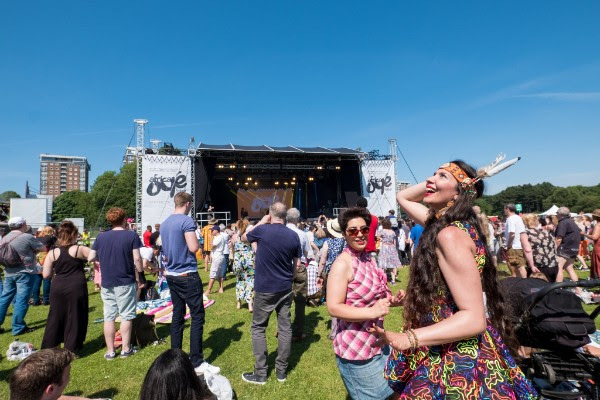 Last year Oyé welcomed son of reggae legend Bob Marley, Julian Marley to Sefton Park who performed hits such as Lemme Go and Violence in the Streets along with a selection of his father's iconic tracks. Other artists who performed last year include Max Romeo, Daby Touré, Diabel Cissokho and HAJAmadagascar. After celebrating their 25th anniversary, organisers say that in 2018 they promise to champion the best new talent around today. Aristic director Paul Duhaney said: "It was a special experience to be able to welcome back some familiar faces for our anniversary year but 2018 will allow us to do what we do best and that's showcase the best undiscovered gems from across the continent and beyond. "The applications have been flooding in from some incredible artists and the programme is going to be packed with international talent."